Though taxi is not the only way of communication in Paris, but it is the best way so far. In this article, I will provide you some basic tips regarding how to hail a taxi in Paris. Hopefully, all these tips will make your travelling more enjoyable and comfortable. In order to hail a taxi from Orly to Disneyland Paris, you need to do at first is to locate a taxi rank. This is quite important and vital. Even, this is such a step without which you won’t be able to go far. In general, the taxi ranks are located at many major intersections over the city, which includes tented areas as well as street corners with a “Taxi” sign clearly displayed. However, it’s also quite possible for you to find by using maps, phone and different computer applications. You can also ask locals in order to know more in details. Because you know,people in Paris are highly friendly and co – operative. So you can ask them anything you want. They are always ready to help the tourists as well as travellers. But make sure you are not wasting their time. Hope you got my point. 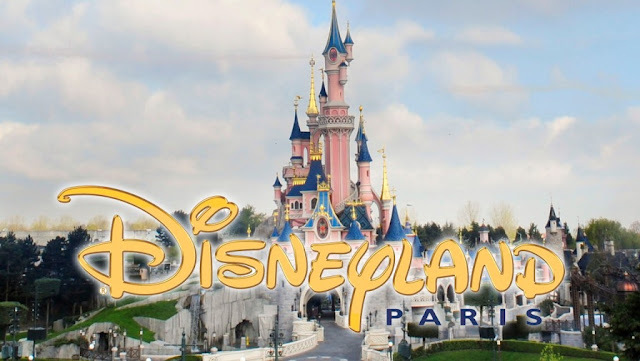 If you want to move from Disneyland Paris to Orly, then you need not to take help from the locals because these places are full of foreigners from different parts of the world. So you can also ask them for help and I hope it will be quite easier for you to communicate. After locating a taxi rank, then you must need to wait for the cab to approach. You have to stand in line in the rank area and wait then wait your turn for a cab. In this case, you have to keep one thing in your mind that if you are within 50 meters which is around 164 feet of a rank, then the cab will not stop for you. Most of the people especially the tourists or foreigners really don’t have any idea about this matter. That’s why often they fail to hail a cab. I hope from now you won’t make the same mistake again. In this part, you need to do something really very important and the thing you need to do is to make sure whether or not the taxi is licensed. This is extremely important for you to ensure this matter otherwise soon you will face plenty of problems and therefore you won’t be able to make your travel enjoyable. Sadly, most of the foreigners don’t have any headache about this matter. Again, some foreigners think that it’s really very tough to perform that. Well, if you are one of them, then I would like to suggest you to follow a list of things below. • A “Taxi Parisien” sign at the top of the cab. • A fare meter (must work). • A taxi license plate which will be available on the front right wing of the taxi. • A display on the back of the cab. This display actually helps to monitor its regular usage. Now it’s time to take the cab towards your destination. Try to behave well with the taxi drivers in Paris. It is true that they are very helpful and co – operative especially for the foreigners but they could be rude anytime if they somehow think that you’re disrespecting them. Also make sure one most important thing that you have the taxi fare chart at your pocket always. It will surely help you to calculate the fare from one place to another. For example, if you want to know the accurate fare from Orly to Disneyland Paris, then you can take a look at your chart and within a very short time you will be able to get them. So finally, that’s all about hailing a cab in Paris. Hope this article will be helpful for those who are planning to travel in Paris in the near future.